Stid Productions is a booking company from South Jersey who has been contributing to the local music scene by booking bands and putting on shows since early 2007. They’ve helped put local acts on shows with more well-known artists such as Candy Hearts, Koji, Where the Ocean Meets The Sky, and many more. They recently held shows for Carousel Kings, and New Jersey’s Pop Punk band, Count to Four. Stid Productions mainly books in Vineland, which used to be the home of Hanger 84. However, many of the present day shows are held at The Oak Tavern. This show will be held from about 6pm-9pm. You can buy tickets online through Eventbrite for $10, or you can spend the extra two dollars and pay $12 at the door the day of the show. Valencia was a band I personally grew up with through my older brother, so this is a very cool thing to see a band member keeping up and going strong with his personal music. 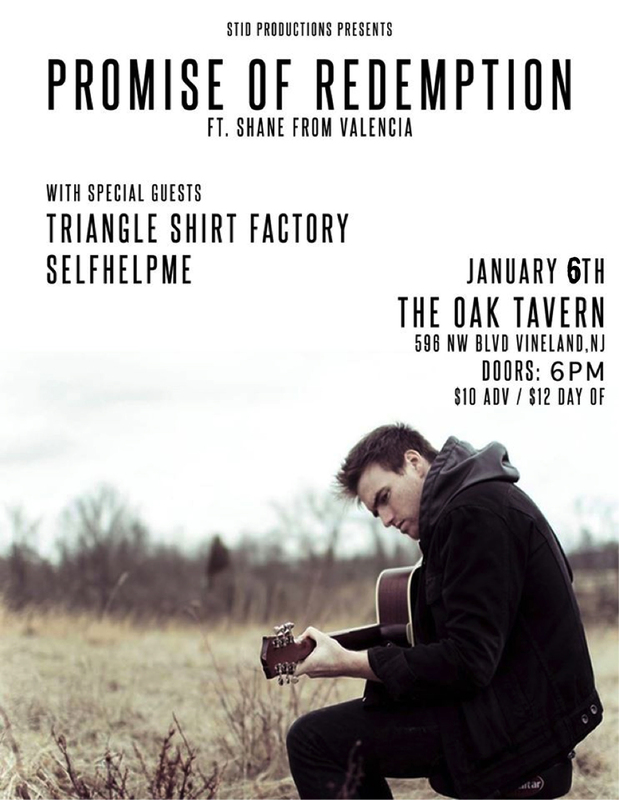 If you’re a Valencia fan, you can catch them at their reunion show at the end of the year with Restorations.